If you have doubts about whether or not you should take this medication, it is undoubtedly because there are many different schools of thought surrounding depression and how best to handle it. There are also several possible negative side effects that certain anti-depressants can cause and it is certainly a good idea to understand exactly what you are dealing with before you take prescription medicine. We hear many people say ‘oh I’m so depressed today’ because they have to work late or because their boyfriend or girlfriend broke up with them. While they may be feeling sad, this is not depression. Depression is characterised by several symptoms including the following: on-going feelings of sadness, worthlessness, lethargy, anxiety, hopelessness, irritability and restlessness. Other signs include a drastic loss or gain of weight, disinterest in things that were previously very important to the individual, fatigue, excessive sleeping or insomnia, random aches and pains and thoughts of suicide. Not all symptoms have to be present in order for an individual to be diagnosed with depression, but the condition is usually continuous and the individual usually feels that they cannot break out of it. Depression affects not only the thoughts and feelings of the individual, but also the way they behave. Their work (be it at school or in an office), personal relationships and the individual’s sense of wellbeing will suffer. Often, depression can be triggered by a specific event or chain of events and the individual will begin to feel as if they are in a hole that they cannot climb out of. Many times, chemicals in the brain will become unbalanced and will add to the problem, stopping the individual from breaking out of their slump. There are several different categories of anti-depressants which each treat a different type or level of depression (among other mood disorders). Some block, inhibit or enhance receptors in the brain that deal with serotonin, norepinephrine and several other substances. Anti-depressants, in most cases, will offer therapeutic assistance to individuals suffering from depression by relieving some of the feelings and symptoms of their disorder. These individuals may be less likely to harm themselves or others and will be better able to deal with their daily lives. 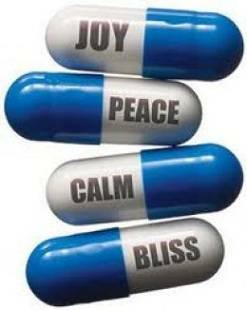 Most anti-depressants have some side-affects and many of them are unpleasant. It is important that you talk to your doctor about the specific side-effects of the particular anti-depressant that has been prescribed. There are more possible side-effects and it is a very good idea to thoroughly research the specific drugs that you have been prescribed before you take them. When is it a good idea to take anti-depressants? If you are suffering from depression and your quality of life is low because of it, you should definitely seek some form of help. There may be other medicines or therapies that could help you if you are not keen on taking anti-depressants immediately. The first thing to do is to find a psychologist who you are comfortable with and see them regularly. Take steps to change any situation that could be triggering your depression and invest time in something that makes you feel good. If these steps are not helping your situation then you should go on anti-depressants. As long as you research the drugs thoroughly and talk things through carefully with your doctor, and providing you follow the instructions that go with taking the drugs (for example, do not drink alcohol), there is no reason the anti-depressants should be bad for you.